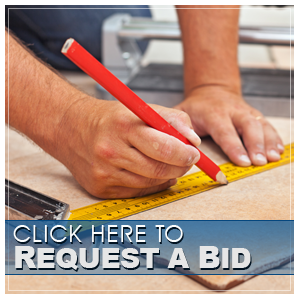 Trinidad Tile and Granite specializes in the remodeling of bathrooms. 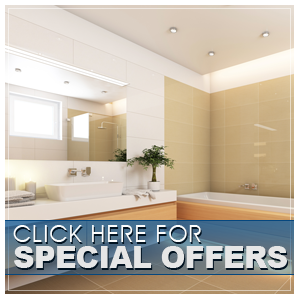 Our extensive experience enables us to deliver the bathroom that is right for your family. Working together, we come up with a great color scheme and discuss different layout options to come up with the look you are after. From subtle accent pieces to custom trim pieces, your bathroom becomes what you've envisioned. Located near the beach, these 2 showers fit right in. Our customer went with a large format tile on the walls and a wood look on the floors. The showers are tied together with the beautiful mosaic used on the shower floors. With multiple recessed shampoo shelves installed in both shower, storage will also not be an issue. 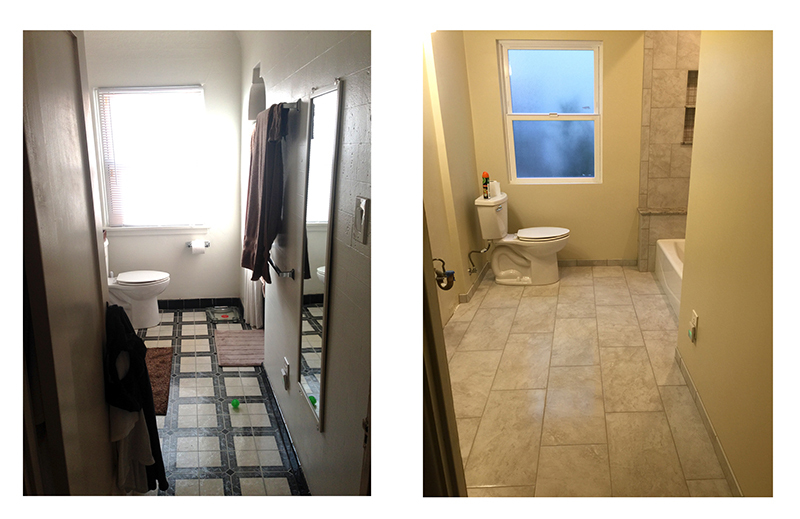 To trim out the showers, Schluter-Jolly was used in 1 shower while bullnosed tile, by us, was used in the other. Below are different projects completed in the City of Whittier. Each bathroom with its own touch from the homeowner. Seeking a timeless and traditional look, this customer opted for the 3"x6" subway tile from Dal Tile for the walls and the octagon with black dot on the floor. Installing a recessed shampoo shelf with a quartz base to match the vanity, customized this bathroom. Also a very big Thank You to our customers for submitting pictures of the different phases of this project. Mixing a little traditional with modern. This customer chose the H-Line Series 4"x16" subway tile in the color Pumice. With an off-set installation it gives it a timeless look that is sure not to go out of style. To trim out the shower, the customer decided on using the Schluter Jolly profiles to give a nice clean look. Multiple recessed shelves were built, including on the inside pony wall, that will surely give them plenty of storage space. Pental Quartz Serra Polished was used on the bench, as a pony wall cap, on top of the curb, on the bottom of the shampoo shelves and on top of the customs built vanity. 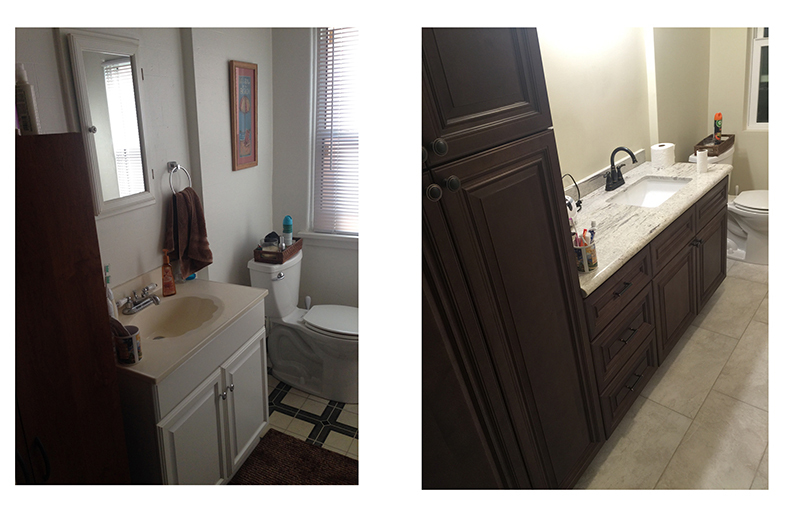 With three bathrooms being renovated in the same house, this customer took advantage in maximizing their uses. In order to maintain a good flow throughout the house, the customer deciding on using the H-Line Alabaster polished from Arizona Tile on the shower surrounds. Using a separate decorative liner, give all three bathrooms their unique personalities. The bathrooms feature wide recessed shelves in the pony walls, benches in the shower and layouts that meet the customer's needs. Granites used in the bathrooms were Alaska and White Springs. Decorative liners used were: Caprice Café Listelle 4"x12'x3/8", Shimmer Azul 1"x4", Venetian Listelle 4"x12"x3/8". All from Arizona Tile. Arizona Tiles H-line is used on this tub surround. Looking to maintain a traditional look, they went with the 4"x16" subway tile which uses a different size to give it the same timeless look. A custom vanity and vanity top is also installed to bring it all together. Red walls and Silestone Stellar Eros quarts accent pieces are the highlights to this bathroom. The customer went with H-Line Pumice, from Arizona Tile, on the walls to give it that right combination. Looking to limit grout lines, this customer opted for panel shower walls. 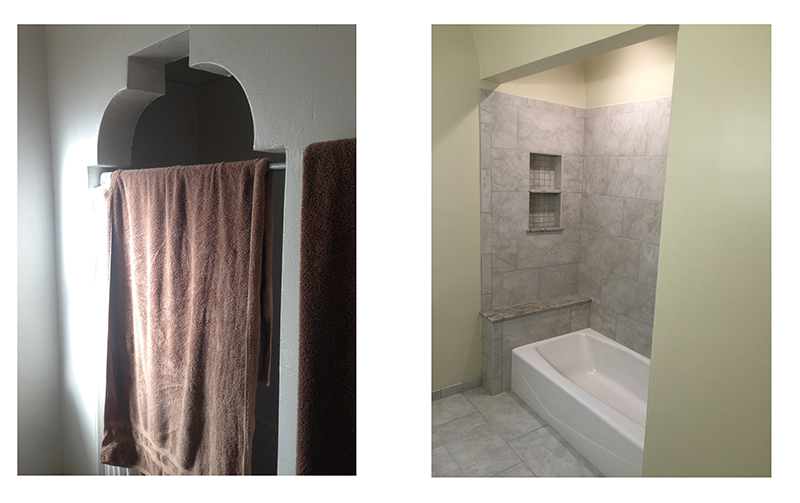 Using Piedra Fina slabs from Dal tile allowed us to give them shower they desired. With 1.2 cm slabs, we were able to optimize space and still deliver a functional and very appealing shower. A bench and pony wall was incorporated into the design. A decorative liner was also us to break up the walls and give it a subtle design element. Remodeling old bathrooms sometimes requires getting a little more creative. This bathroom featured an enclosed arch that really did not allow it to breath, so the customer wanted to open it up and give it a more spacious feeling. The change in this bathroom was incredible. But changes like this do require the proper planning. Since new products do not always match up with old construction, functional and eye-pleasing transitions need to be used. With the new tube not reaching from side to side, a small ledge was built that really gave it a very customized look. By using the same granite on top of the ledge and shampoo shelf, as the vanity top, it really brought everything together. The customer did a great job of choosing and putting colors together. We also want to say Thank You for sharing your pictures with us.